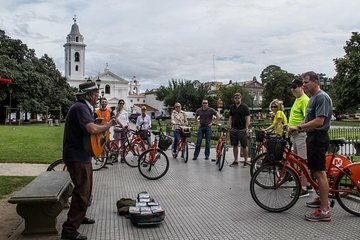 Discover the beauty of Buenos Aires on this scenic bike tour. Begin in quaint San Telmo, and ride on to see modern Puerto Madero, the iconic Floralis Genérica sculpture, trendy Palermo, and elegant Recoleta with its famous cemetery. Learn about national history as you visit the Plaza de Mayo, Casa Rosada, and other buildings in the city’s main square. This 4-hour ride provides a great overview of Buenos Aires.